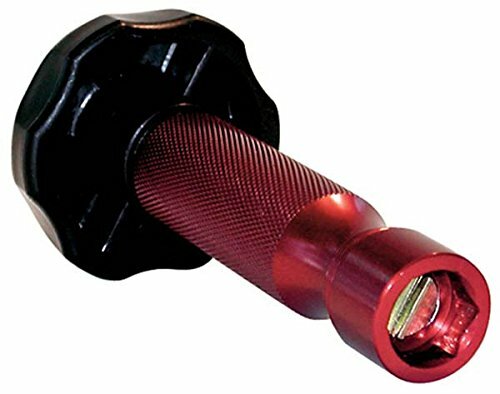 This replacement jet removal tool is tapered to fit the end of the jet and is used to eliminate damage during removal. 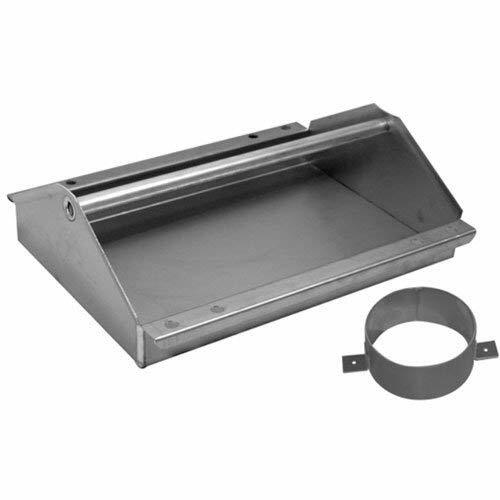 It is great for quick changes of jet fuel bowls and is designed to fit all round-style jet applications. 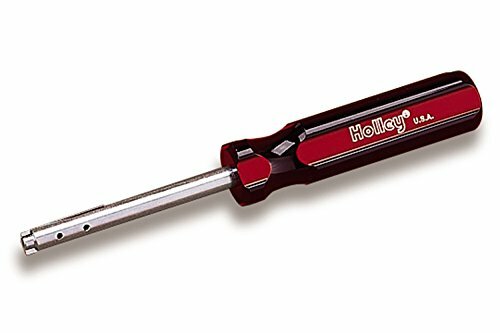 It is made of steel and features a red and black plastic handle. The Edelbrock Thunder Series AVS Carburetor Calibration Kit is designed to tune cars to match any engine or track condition. 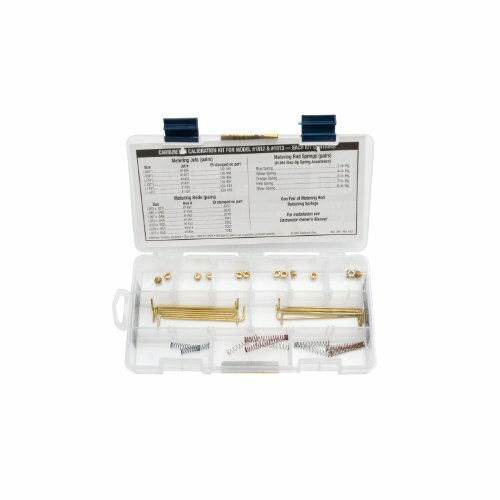 This kit includes an assortment of metering rods and jets, a pair of metering rod retaining springs, and a complete assortment of step-up springs. This calibration kit is used to customize the Performer carburetor. This carburetor calibration kit is for Thunder Series carburetors which are designed and calibrated to deliver optimum street performance in hundreds of applications. The Edelbrock Thunder Series AVS Carburetor Calibration Kit is designed to tune cars to match any engine or track condition. This kit includes a pair of metering rod retaining springs, and a complete assortment of step-up springs. This calibration kit is used to customize the Performer carburetor. This carburetor calibration kit is for Thunder Series carburetors which are designed and calibrated to deliver optimum street performance in hundreds of applications. 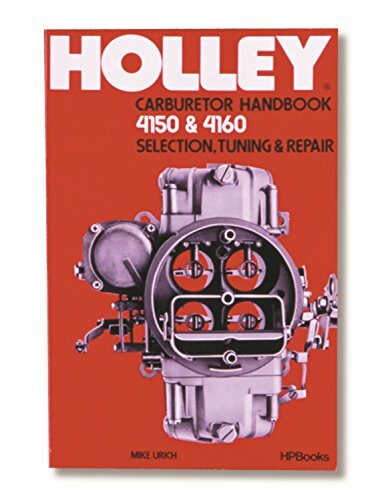 The Holley Model 4150 & 4160 Carburetor Handbook by M. Urich includes application recommendations, tuning and repair. 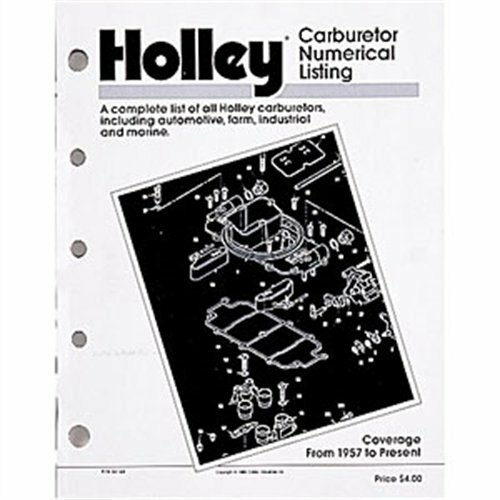 The Holley Carburetor Numerical Listing contains a complete list of all Holley carburetors, including automotive, farm, industrial and marine. It includes a guide to the corresponding repair kits for each one. The Edelbrock Uni-Syn Motorcycle Carburetor Balancing Instrument is a precision instrument that provides a visual method of balancing multiple carburetor setups with a high degree of accuracy. This uni-syn A instrument includes 1 and 2 barrels with a round top. The balancing tool material is made of aluminum with a natural finish. The weight of this instrument is 0.60 pounds. Instructions are included. Advanced Engine Device 6070 HOLLEY BOOSTER INSTALL.. 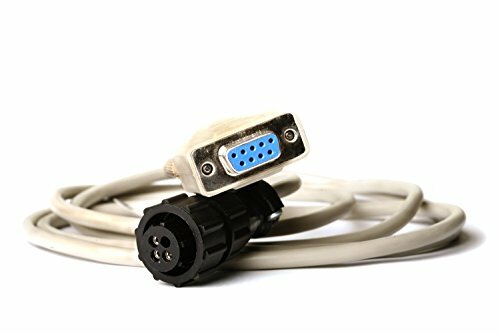 The Holley Commander 950 communication cable provides ECU to the laptop computer connection. 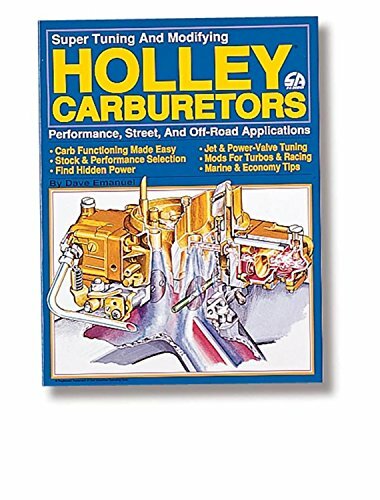 The Holley Carburetors Manual by Dave Emanuel is a detailed comprehensive guide to proper selection and modification of Holley carburetors for competition. 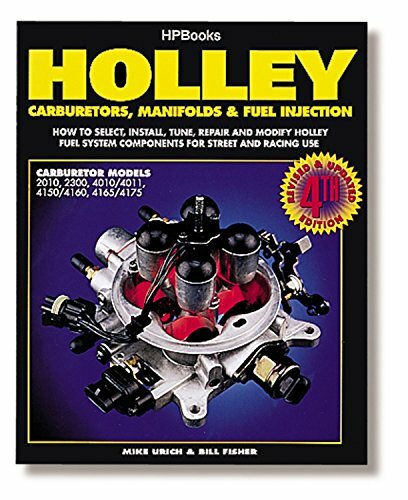 The Carburetors, Manifolds & Fuel Injection manual by Bill Fisher and Mike Urich covers all 2010, 2300, 4010/4011, 4150/4160/4180, 4165/4175 and 4500 performance carburetors. Includes Holley Pro-Jection 1-bbl, through 4-bbl models with installation and turning information not found in any other publication.